To buy jewelry from Valmand, go on the presentation page of the product and select the desired options. 1. About the different kinds of metal used and its color, read "About Gold and Platinum". 2. Inform you of the special features of a diamond, read "How to choose a Diamond". 3. Find out how to accurately measure your finger size, read "How to find the ring size at home". 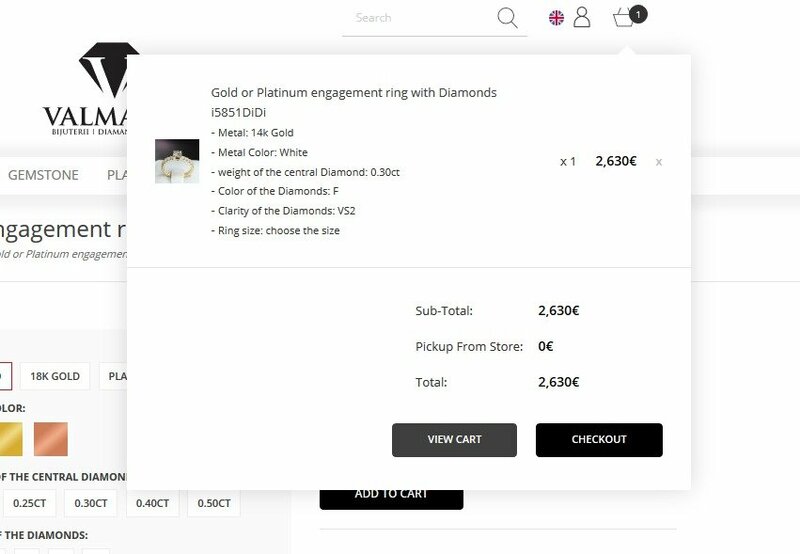 After you select the jewelry options, press the "Add to cart" button found in the top right corner of the screen. Meanwhile, you can continue exploring our collection or you can end the buying process. In the upper right corner of the screen, you can view the products added in the basket by pressing on the button that indicates their number and the total amount (excluding VAT). One new menu will open, which will show your order’s details. Right below you will find two buttons. The first will open a page for you to complete the order, and the second will allow you to check the content of your basket. Here you can deselect one or more products. You can order a product creating an account or not. Creating an account comes with benefits such as a quicker order procedure, a better inventory of your ordered products, information that you no longer have to fill in the next time you buy from us. The registration process takes only a few minutes and will ease your purchase experience in the future. If you already have an account, you can login to the menu in the right corner. The next step is to fill in your billing address. 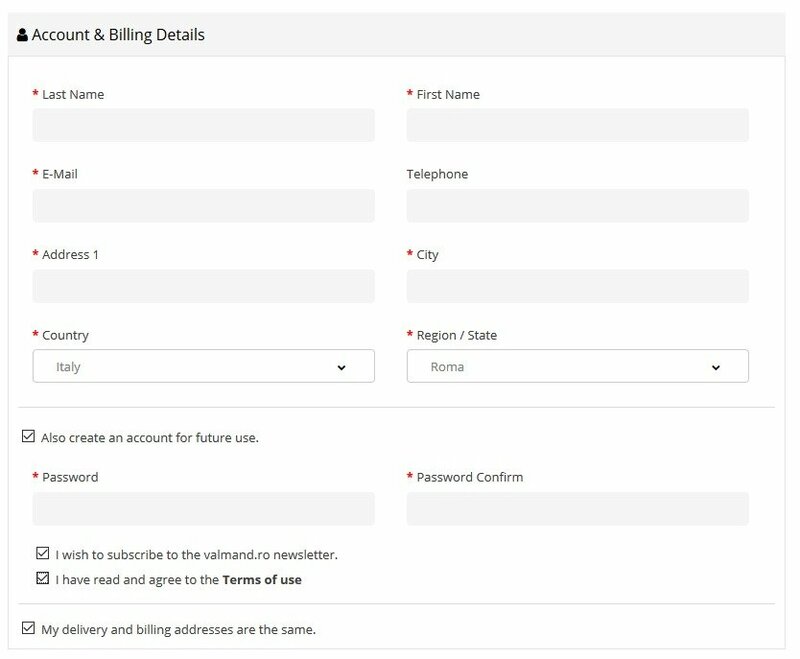 If the delivery address is the same as the billing address, you have the option to check the box below these data fields. Otherwise, you need to fill the fields under the following menu. If the billing address does not match the delivery one, it is necessary to complete this piece of information, after you got assured that you have unchecked the related field from the previous step. The delivery charge is fixed, the information about the delivery methods being detailed in the product’s page. The available payment methods can be found in each product’s page, as follows: cash or card via POS in our showroom, bank transfer (partial or total), PayPal, online payment. The last field is a short retrospective of your order and gives you the opportunity to check whether the entered data are correct or need to be reviewed. By pressing the "Confirm" button, you confirm the purchase.